In early June of this year the Post Falls location of the Pizza Factory chain sustained significant damage when an elderly woman crashed her Subaru into and through most of the restaurant. And, while Pizza Factory insisted they would re-build and re-open we have discovered that the Post Falls Pizza Factory is now out of business and the signs above the space have already been taken down. But, the space where the Post Falls Pizza Factory was ( Highland Crossing shopping center, 3904 E. Mullan Ave ) will be filled with the smells and tastes of pizza before we know it. That's because the space is continuing to be fixed up and is already leased to Missy & Jim Hightower, franchisees of many of the Kootenai County area's Domino's Pizza locations. Domino's Pizza will remodel the space for their use and open their restaurant in the coming months. The new Domino's Pizza location will actually be a relocation of the small, current Domino's at 112 W. Seltice Way by the Idaho State Liquor Store . While the current Domino's will close, they are planning to open a second Post Falls location on the west side of Post Falls at some point in the near future. The new Domino's on Mullan Ave. will still feature late hours ( as late as 2am on Friday & Saturday ) , delivery and carry out of the chain's many pizza's, pastas, sandwhiches and specialty items. But the extra space will allow for dine in as well with enough space for 50 dine in customers and a small banquet room. This is the second area Domino's Pizza locations to add dine in recently as the Coeur d' Alene location on Neider Ave. recently remodeled to allow for dine in, something not found in all Domino's stores. We will keep an eye on if and when Pizza Factory comes back to Post Falls , and where we may see another Domino's location so keep checking back. One of Spokane's more visable Taco Time locations is about to undergo a major conversion. The Taco Time near the Gonzaga University campus at 1310 N. Ruby is scheduled to close soon and be remodeled into a new Starbucks Coffee location. Construction is to begin within the next couple of weeks and should allow for the new Starbucks to open in early 2017. Starbucks will occupy the entire 2200 square foot structure and will be in a lease agreement with the Utah based building owner. The new coffee shop will feature indoor seating and a drive though. The buildings proximity to Gonzaga and all other parts of the University District should make this Starbucks a successful location. While this Taco Time will be gone the chain, will still be a big part of the Spokane fast food scene with 9 other locations remaining in business around the area. This is just the next chapter in Starbucks' expansion around Spokane after announcing new locations off of Aero Rd in Medical Lake & N. Greene in Spokane, they also are working on developing a store in Downtown Coeur d' Alene and numerous recent remodels of their existing locations. Northwest Pizza Company, a locally owned and operated pizza restaurant with just one location in Hayden is growing and expanding their presence into the Spokane area for the first time. The restaurant recently leased a space at 10604 E. 16th , in Spokane Valley and is developing a new small second location there. The new Spokane Valley Northwest Pizza Company location will be nearby the Exxon gas station at the corner of E. 16th & University.Unlike the businesses original location however the Spokane Valley location will not offer dine in, but will offer both take out and delivery of their pizza's. No opening date as been set as of now for when the new location will open but they are hoping to be operational in either September or October. 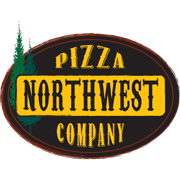 Northwest Pizza Company considers themselves a gourmet pizza restaurant that has been in the Hayden Creek shopping center at 8158 N. Government Way in Hayden for the last couple of years and a space on Neider for a time before that. They make many different kinds of specialty pizza's and allow customers to also build their own pizza for a good sized list of toppings. In addition to the pizza's though Northwest Pizza Company also offers salads, sandwiches and more . Some of their pizza's are available gluten free and online ordering is available. Following BNSF railway's recently completed $10 million worth of upgrades to their local railyard, the Fort Worth,TX based railroad has moved onto another new investment in the Spokane area. This investment is in a new much larger vehicle unloading facility to replace a facility currently in open for business on Mission Ave. The new BNSF vehicle unloading facility will serve the 12,000+ vehicles each year that the railroad delivers to the Spokane market. The cars, trucks, vans & SUV's are unloaded off of the rail cars then staged to be loaded onto semi trucks and delivered to car dealerships trough-out the area. The new planned facility will be just west of the aforementioned railyard , and on a 13 acre site that is already owned by BNSF, the site is off of Wisconsin Ave. near Havana St. . Plans call for a small office building, fencing and other security features and about 1000 vehicle storage spaces . The former facility is much smaller with only 445 storage spaces, there are currently no plans for what will happen to this facility after the new one opens. BNSF hopes to have the new vehicle unloading facility operating by the end of 2016. Note: already a local catering business but since this application is at a actual storefront address we think they may be planning a restaurant of their own. Note: Same address as the Market Street Grill a now closed family restaurant off of N. Market. Note: Looks to be in the former Café Italiano at the Regal Pond shopping center. There is also a license application filed with the Liquor Control Board for a Squid & Bull at 304 W. Pacific #160 in Downtown Spokane. This however appears to be a parent company for the new Hogwash Whiskey Den we already know of and will likely mention again when it gets closer to opening. Our Rumor Mill page has returned !!! Just a quick head's up that the Rumor Mill page of this site is back up ! All the local new business rumors that are fit to type can be found there, and it's all new ( I took it down because the info was getting outdated ) . Is Chick-fil-a coming to Spokane? Is IKEA coming to Spokane? Is Popeye's Louisiana Kitchen coming to Spokane? Is Trader Joe's coming to Coeur d' Alene? Here at Inland Northwest Business Watch we've been closely watching the developments of the new Hayford Crossing shopping center in Airway Heights. The shopping center, while not the largest in the local market is still noteworthy being one of the largest new commercial developments in Airway Heights recently. Sprint, Supercuts & Jimmy John's - Under construction but no confirmed opening dates yet. Grocery Outlet- Under construction, set to open at 9am on Sept. 29th . A limited amount of inline storefront space is still available for lease at Hayford Crossing. Also plans for the development showed a office building to be built at sometime next to the main shopping center. The Spokane based Red Lion Hotel chain has officially brought it's new Hotel RL branding to the property just next door of their own headquarters office building. Hotel RL is the company's more upscale hotel offering and like Red Lion Hotels itself has been expanding aggressively . The Hotel RL branding only launched last Summer with a property in Houston and the Spokane location will be the second hotel branded as such in Washington State after a Hotel RL opened in Olympia in July. Hotel RL Spokane is located where the 400+ room Red Lion at the Park ( 303 W. North River Dr. ) has been for sometime. The building has underwent significant remodeling over the last few months and was unveiled at a grand opening celebration last week. - A " Living Stage " an on site stage where the hotel plans to host many events from performers to thinkers to " anyone with a passion and a point of view, to share their ideas with the world " . A event schedule is already out for events on the living stage. - A Victrola Coffee location. Considered one of Seattle's most distinguished coffee roasters has a small location serving their coffee's inside the hotel. - A location of This Bike Life . Biking is an awesome way to see a city up close, and guests staying at the Hotel RL Spokane can stop into a full bike shop adjacent to the hotel lobby. This is the 3rd location of This Bike Life and is a full service bike shop with sales, service and bike rentals. - A new concept for the hotel's restaurant . When the hotel was still under the Red Lion brand it did have a bar & restaurant on site. But with the upgrades to Hotel RL, the restaurant has been upgraded and it's menu and name have changed. Their new name is The Restaurant at the Hotel RL . It formerly was the Dam Bar & Grill. Guests arriving at the Hotel RL Spokane at the Park will notice a major piece of the hotel missing. That's because the hotel has no front desk, to allow for more public gathering space . But, no worries guests can still easily get in their room via on site touch screen kiosk's ( with staff standing by ) or via the Red Lion's HelloRewards app on their mobile device. Guest can also use the HelloRewards app to interact with hotel staff and allows their smartphone to act as a room key. Also, all rooms now feature 55" flat screen TV's. Red Lion Hotels, and their sister companies TicketsWest & Westcoast Entertainment have been a part of the Spokane business community for many decades. This is the area's only planned Hotel RL branded hotel but Red Lion still operates 2 other hotels in Spokane, Red Lion at the River nearby and a new Red Lion Inn & Suites on W. Sunset Hwy near Spokane International Airport. There is also a Red Lion branded resort along the Spokane River in Post Falls. Late last week we mentioned Kendall Yards' developers plans to add new commercial buildings west of the already up and coming Kendall Yards Business District. We are now learning a bit more about this portion of the development and what we may see open for business there. The buildings are apparently being called Nettleton Corners and will have construction starting in the coming weeks at the corner of W. Summit Pkwy & Nettleton Ave. , and is adjacent to the Olmstead Green city park. The development area will consist of 2 buildings and will have access to the Centennial Trail in addition to views of the Spokane River & Downtown Spokane. 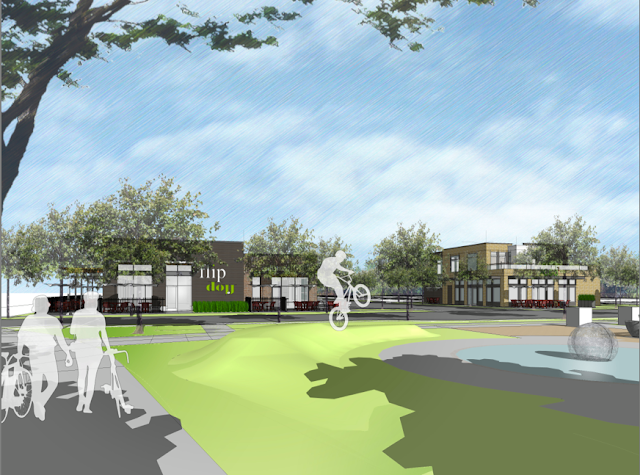 - A market that will house a deli, coffee shop and ice cream parlor . While Nettleton Corners is perhaps the biggest recent development to come from the uber successful Kendall Yards development it's far from the only thing in the works there. Many new homes & condo's are being built, a couple of new additions are coming to the Kendall Yards Business District, more apartments are planned , a grocery store called My Fresh Market and a new medical office building are all in various stages of construction. We will continue to watch for more on this and all the other developments at Kendall Yards! Last year an iconic North Spokane seafood restaurant changed hands to well known local restaurant group. 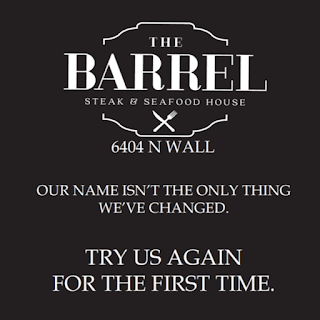 And, while they admit they've had some trial & error with perfecting a new menu they are moving forward and have now officially re-named the restaurant The Barrel Steak & Seafood House. The concept is still similar but the new Barrel Steak & Seafood House is a more upgraded restaurant. The new owners ( Nelson & Phelps Hospitality, Inc. ) say they have cleaned up the patio, fully updated the kitchen & bathrooms and created a fresh & friendly menu that ensures better quality and selection. 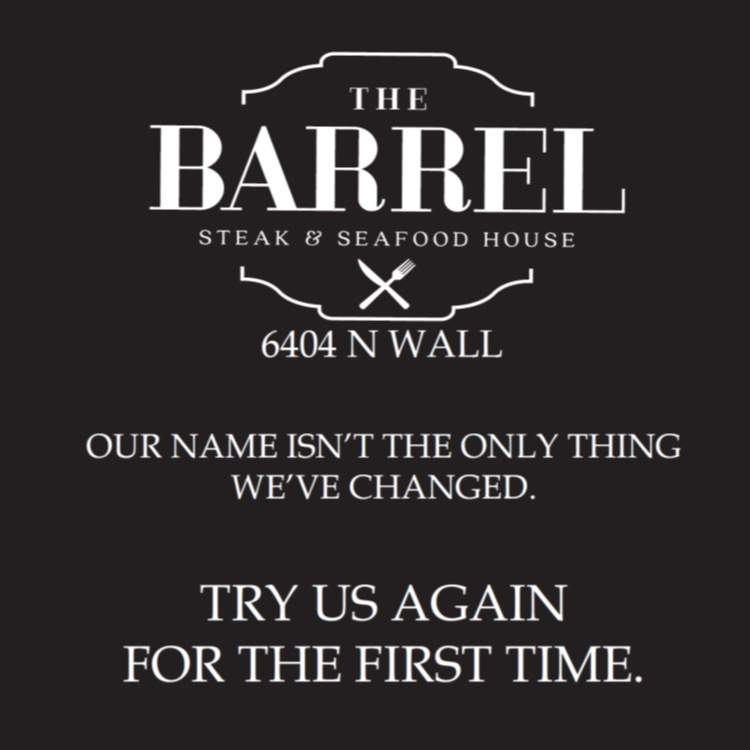 The Barrel's menu features steaks that are seared on a Montague & delicious seafood dishes that fresh and whenever possible acquired from here in the Northwest. The restaurant remains locally owned and operated and shows no signs of ending it's almost 50 years of operation ( 50 years in 2018 ) . Nelson & Phelps has a strong history of local restaurant success with several other restaurants operating under their banner like The Steelhead Bar & Grille , both Fieldhouse Pizza & Pub locations, Selkirk Pizza & Tap House and The Screaming Yak. The Wake Up Call, a Spokane Valley based small chain of coffee shops is expanding again. In 2015 they opened their 5th location at 3526 E. 5th Ave in the Freya / Thor couplet near Fred Meyer. 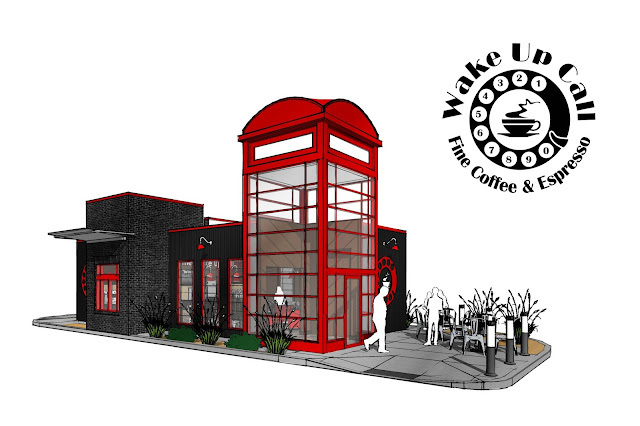 But now The Wake Up Call is now heading even more into the Spokane proper with 2 locations they now have in the works. The company officially announced they will start construction soon on their sixth location in North Spokane. The new North Spokane location will be built on the lot that was formerly the Home Environments store at 6909 N. Division ( corner of N. Division & Wedgewood ) . The retail store has already been demolished and construction is coming soon for the new Wake Up Call. It will be much like their existing locations in Spokane Valley with a drive though and small indoor lobby / seating area. And, of course it will use the easily recognizable London phone booth style building which surely has caused a few area visitors to do a double take as they drive by. In addition to the North side location and likely not as far along in the planning process, Sweeto Burrito has shared that The Wake Up Call will be their neighbor by their new location now under construction at N. Division & Nora in the University District. This is the site in the Division / Ruby couplet where several older buildings we're recently demolished. We have reached out to Wake Up Call as to when the University District location will open but as of now have not received a response. The Wake Up Call planned at 6909 N. Division however they say will be open by late fall this year. With few vacancies in all sections of Kendall Yards, the developers are going full steam ahead with the development that is proving to be one of the most successful in the Lilac City. New homes and new condos are rising and there is plans for a major expansion of the development's apartment community, The Highline at Kendall Yards . The commercial side of the development is growing too, with the recent announcement of My Fresh Market, a new grocery store to be built in the development at W. Summit Pkwy & N. Monroe. And the spaces in the main Kendall Yards Business District are mostly occupied with a few more tenant spaces in the works there too. Now, Kendall Yards' management has made the announcement that the commercial area of the development will be expanding westward with 2 new buildings being planned just west of the Olmstead Green Park near the corner of W. Summit Pkwy & Nettleton Ave. . The buildings will continue on with Kendall Yards' modern architectural style and like the other most of the other parts of the development, the building will have direct access to the Centennial Trail and sweeping views of the Spokane River and the Downtown Spokane skyline. Construction on the new buildings is still coming, but won't be far away as Kendall Yards estimates the buildings will be complete and ready to open for business in the Spring or Summer of 2017. Businesses have already been lined up to open in the new buildings but they decline to say who just yet. Some space is also available for lease, and more information on those spaces can be obtained via Adam Jones of Greenstone Homes at 509-368-1810 . The Western Washington based Mattress Depot chain is about to arrive in Spokane with their first local location. And, while Spokane may seem a bit overrun right now with mattress stores, at least Mattress Depot has chosen to enter the market in a part of the city that isn't completely saturated with similar stores. A franchise owner with Mattress Depot has secured a lease for an about 1400 square foot storefront in the Regal Plaza shopping center at S. Regal & Palouse Hwy ( the same plaza as the new South Hill Target store ) . The store will be in the space in-between Mod Pizza & Sally Beauty Supply, and while they don't have an opening date just yet they do hope to open for business sometime within the first couple of weeks of September. This will be the first Spokane area location for the chain which up to this point is mostly west of the Cascades ( except the Tri-Cities ). The location will be owned by owner/operator Ryan Leaf who was born and raised in Spokane. He says the Regal Plaza location will be the " first of many locations " in the Spokane area. Mattress Depot USA describes themselves as being in the" sleep improvement business " who do in fact sell mattresses, in addition to the bed sets, frames and accessories . The chain has experienced rapid growth over the last few years and remains a family owned company with same day delivery and a 120 day comfort guarantee. As of my writing this it's still around 80 days till Halloween, but it's still coming soon. As are the locations of Spirit Halloween who always open in a few vacant big / mid box store sites each year around the Spokane / CdA area. Each store opening will also mean some new temporary jobs. For more information on how to apply to work for Spirit Halloween in the Spokane / Coeur d' Alene area also visit www.spirithalloween.com and click on jobs. A couple of weeks ago I heard rumblings that The Boot Barn was coming to the Spokane area. And, while I still know very little of their plans here ( I'm still waiting to hear back from their corporate office ) it is safe to say they will have at least one store here and it is going to open in Spokane Valley. The Boot Barn is a Irvine,CA based chain of retail stores selling many different kinds and brands of boots for men, women and children . In addition to boots , The Boot Barn also carries jeans, hats, shirts / jackets and even some Cowboy themed gifts, toys and home items. The company has been operating since 1978 and despite having no stores in the Spokane area today has a good sized following here. Currently the closest locations of The Boot Barn are in Kalispel & Missoula,MT . Once of the largest Industrial vacancies in the Inland Northwest has been filled , and the company coming for the space will create upwards 120 jobs with higher then average pay. The company is Orgill, Inc. who announced last week they are going thru with a sale to purchase all of the former Kimball Office factory on W. Seltice Way in Post Falls . Orgill plans to close on the building's sale soon and start remodeling the facility as soon as September. If all goes as planned Orgill could be operating from the former Kimball facility by March 2017. Also, noteworthy is that Orgill, Inc. will use the entire 500,000 +/- square foot building, unlike a prior sale to an un-named company that fell thru and would have only used a portion of the building. Orgill will convert the building into it's 7th distribution center, and will serve their customers in Idaho, Montana , Washington , Oregon, Alaska , British Columbia and Alberta from the new Post Falls distribution center. Orgill, Inc. is an independent hardlines distributor that bills itself as the world's largest . The company offers it's customers over 75,000 product offerings and sells mostly to independent hardware and home improvement stores. The jobs this new distribution center will create is also a big part of the news. This is because the center will employ somewhere around 120 with good pay. Most of the jobs will be order picking floor positions that start at around $16 per hour, some truck driving and administration jobs will also be available with even higher starting pay rates. Also, a comic book store and coffee shop with no name announced are also in the works for spaces in the center. These new businesses will join 2 retailers that are left over from the original Outlet Mall ( named Post Falls Factory Outlets when it opened in the early 1990's ) .Those two businesses are L'eggs / Hanes / Bali Outlet and Oriental Gifts & Food . The new owner has some space in use also for what appear to be temporary offices. One space is also occupied by a leasing office for businesses looking to lease spaces at the shopping center. The north building only is being renovated and re-opened for new businesses, the entire south side will be used as a manufacturing facility and corporate HQ for Tedder Industries, a company that produces a couple of brands of holsters. Tedder is the parent company of the Outlet Mall complexes new owner Tedder Properties. With Anthropologie already open across from River Park Square, and Urban Outfitters opening in the coming weeks just a few blocks east it looks like the Philadelphia based Urban Outfitters,Inc. corporation has already invested heavily in Spokane. But a new building permit filed with the City of Spokane shows the multi-brand clothing retailer isn't complete with just 2 Spokane stores. This is because the company is seeking to open a location of their Free People store in the same general area around River Park Square as their other 2. Free People will fill unit 103 of the building at 809 W. Main , directly across from the mall and just 2 doors down from Anthropologie ( and by &Kloth ). As we are going off the building permit we don't have an opening date for this store and if the permit is any indication it will be at least sometime as the space needs remodeled and will receive a new storefront. Keep an eye this blog and our Facebook page for more exact details on the new store. 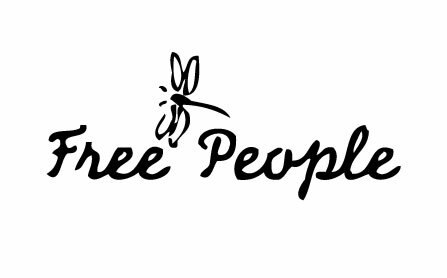 Free People's Spokane store will be about 4500 square feet and their current closest store is at Bellevue Square Mall in Bellevue, the Spokane store will be the chain's 4th location in Washington State. 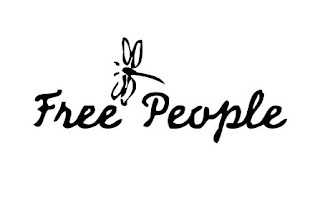 Free People is a full women's clothing store with a style described as American Bohemian. In addition to clothing Free People also carries accessories , shoes, intimates and swimwear . The business has been operating since 1984 and has Free People branded stores in many other spots around the US , Canada & Japan. The former Albertson's store at 1617 W. Northwest Blvd. Spokane ( NW Blvd. in-between Maple & Ash ) will soon go from abandoned eyesore to a multi-tenant building likely packed full of customers. This as NAI Black Commercial broker Chris Bell has secured two leases for the building, allowing the building to be remodeled and split into two businesses. - Goodwill Industries will lease 20,000 square feet and will open a Goodwill branded thrift store in their space. In addition a donation area will opened in the building and both the thrift store and donation area will open sometime this fall. - Planet Fitness will occupy the remaining 24,000 square feet with a new location of the chain which is famous for it's 24 hour staffing, discounted memberships and making customers who aren't used to gym's comfortable with the experience. This location will also likely open this fall and will be the second in the Spokane area as the chain opened it's location in Spokane Valley last year. New businesses are expected to be coming for newly constructed buildings to be built on pad sites in front of the Goodwill / Planet Fitness. A Jack in the Box restaurant also opened it's doors recently in a formerly vacant parking area across Maple from the Albertson's . The Albertson's building itself has been sitting vacant since the grocery store chain moved out in 2011. As of today there are no other known planned new Spokane area Planet Fitness locations and Goodwill is also working on a new store / office complex on 16th St. in Post Falls. Tomato Street will lease suite 106 of River Park Square , or as it is better known as the former home of Rock City Grill. Rock City Grill relocated from the mall a few weeks ago to take over the former Famous Ed's restaurant building along 57th Ave on the South Hill . Tomato Street is referring to this new location as Tomato Street at the Falls and hopes to have the location open for business sometime in the " early fall " after some remodeling work. The new Downtown Tomato Street location will be a new location and both their locations in North Spokane & Coeur d' Alene will remain in business as well. The menu will likely be the same as the other locations and the company has already filed for a liquor license at the space. The location will occupy about 7100 square feet of space, a couple thousand square feet under the amount of space as their North Spokane location ( 6220 N. Division ) . Tomato Street for those who are unaware is a full service , sit down style restaurant that serves delicious Italian dishes in a often times high energy atmosphere. The business is locally owned & operated with only the two total locations. In addition to the restaurants Tomato Street also offers catering via a " platter to go " menu, where larger portions of the same dishes can be ordered with at least 24 hours notice. Allsport has been in business on the Liberty Lake / Spokane Valley border for several years and recently branched off with a new business at the same site called Allsport Indian Motorcycle, acting as the only Indian Motorcycle dealership in the Spokane area. Allsport Indian Motorcycle is housed in a newly constructed 6,000 square foot addition to the businesses main building at 19595 E. Broadway. 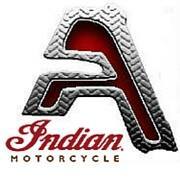 The new business sells the full line up of new Indian Motorcycles and also offers motorcycle service, parts & accessories . Indian is well known brand of motorcycles with an impressive history and is now owned by parent company Polaris Industries of Minneapolis. In addition to the new motorcycle dealership, Allsport remains a dealership for many types of motorsports. Right next door, Allsport sells and services snowmobiles, off road vehicles , jet ski's & more from brands like Polaris , Ski-Doo , Honda, etc. . That dealership is housed in a 32,000 square foot building that is very visible from I-90. The Kabob House Mediterranean Grill has been in business in the Yakima area for sometime and recently added a new second location W. 5th Ave in Ellensburg , but now the business is growing our direction with a new third location now in the works in Spokane's University District. Kabob House is now working on preparing to open at 2118 N. Ruby , Suite A ( corner of Ruby & Montgomery ) where the now closed William Seafood Market & Wines once was. The business hopes to open at this location sometime around the beginning of September. Some details of the Spokane location are not yet available, however the place will be much like it's counterparts in Yakima & Ellensburg , likely without beer & wine but still an impressive menu of kabob's and other Mediterranean dishes in a casual setting. The name, Kabob House, implies the restaurant will have many different types of Kabob's ( which they do ), but they're not all that will be found on the menu. The Kabob House menu also includes some sandwiches , pita sandwiches, gyros , full entrees, salads, appetizer plates and even fresh baklava for dessert. Catering is available and Kabob House's other locations offer delivery so we can only assume the Spokane location will too. On the afternoon of June 5th, a small brush fire swept up to the commercial building housing Allie's Vegan Pizzeria & Café at 4803 N. Nevada . While the building itself was not a total loss, it did put Allie's , a newer but still very popular Spokane business in a bind. Allie's has since been operating in a temporary set up in the parking lot of a building in the middle of the Garland District, but with colder weather on the horizon and the possibility that the building on Nevada won't be ready till towards the end of the year it was time for Allie's to find a new home, at least for now. 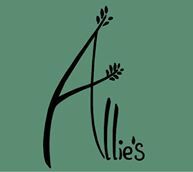 Allie's Vegan Pizzeria & Café announced just last week that the business does plan to re-open on Nevada, but they are have also leased a storefront on the South Hill and already actively working on that site for another location. The business says that they may keep the South Hill location open even after moving back to Nevada, depending on how well it does. Allie's Vegan Pizzeria & Café for those who don't already know is a restaurant making many of the same dishes as other pizza places,only making them vegan . The menu consists of many specialty pizzas , some sandwiches, breakfast items and more. They also make several of their menu items gluten free ( consult menu for which are gluten free ) and have ok selection of beer's , wine and hard ciders in addition to coffees and house made soda's. 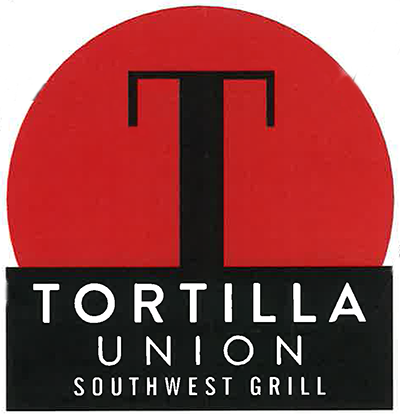 Later this week River Park Square will gain a new restaurant option with the opening of Tortilla Union . Tortilla Union is a locally owned and operated business from the same owners as Twigs Bistro & Martini Bar. The new restaurant will feature Southwestern inspired dishes that will " celebrate the spirit of the Southwest ". Tortilla Union is to open for business Thursday Aug, 4th on the ground floor of the mall in-between Williams Sonoma and Nordstrom, where the Loft clothing store once was. The restaurant will be relatively compact with 4200 square feet of space , but will offer a full bar and some delicious dishes that even include hand made fresh tortilla's and tableside guacamole. The new restaurant's menu is made up of several dishes for most any appetite from " Union Starters " like Plantain Chips & Grilled Street Corn all the way up to the main plates like Baracoa Enchiladas & Skirt Steak. There is even a small selections of desserts, called " sweet endings " on their menu that sound just as incredible as the main part of the menu. Spokane Teachers Credit Union ( STCU ) is pushing forward with it's plans to expand their branch locations with one scheduled to open today and the announcement of another new branch just last week. And, all of this is addition to two other branches that are already in development in Downtown Spokane & Downtown Coeur d' Alene. Once all the planned branches are completed ( sometime in 2017 ) STCU will offer their members 21 different branch locations. - Opening today is STCU's new Qualchan area branch at 4233 S. Cheney - Spokane Rd. . The branch is opening in a newly remodeled & expanded former AmericanWest Bank branch and features both indoor banking and a drive through. - Just announced STCU will open a new branch in the City of Airway Heights. This branch will be a 3800 square foot stand alone building similar to other newly built STCU branch locations. It will have an indoor banking area and a drive through and will be located directly at the corner of US 2 & Hayford Rd. The Airway Heights STCU will open sometime in 2017 and is actually a tenant of the new Hayford Crossing commercial development which is already under construction at that same corner. - STCU is also working on relocating it's branch inside the Crescent Court building in Downtown Spokane to a new space facing Wall St. and directly behind the new Urban Outfitters store. This branch should open for business late this year with 2900 square feet of space. It will also share a section of this new location with Rocket Bakery who is planning to also open a location at the same site. - Although it hasn't been long since STCU opened for business at the corner of Appleway & Ramsey Rd in Coeur d' Alene they are already working another new location for the City of Coeur d' Alene. This time the new branch will join Downtown Coeur d' Alene with a newly remodeled site in the first floor of the office building at 401 E. Front Ave. . This site was once a Bank of America and has a prime location overlooking the McEuen Park. Like the Downtown Spokane branch this location will also open sometime late this year. In addition to all the new branches STCU has also grown from having 100,000 members in 2011 to about 156,000 today. Even the amount of employees of STCU has grown overtime from 500 in 2012 to 600 once all the new positions are filled. STCU is headquartered in Liberty Lake and is a member owned , not-for-profit cooperative .